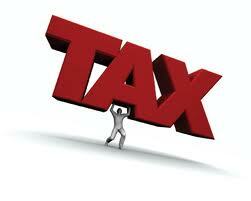 Some of you may be surprised at the differences in tax rates among municipalities in the area. Many of my clients often ask why some places have higher tax rates than others, and the answer isn't always that obvious. For example, the City of Toronto has one of the lowest rates in the province. That may sound wonderful, but when you take into account that it also has one of the highest property assessment averages, the actual amount of municipal tax you pay there isn't much different than in other places. For example, the average price for a single detached home in September was $832,169 in Toronto, and in Oshawa, it was $300,602. When you consider the valuation differences, Oshawa's higher rate comes out less overall on the average home. You can easily work out what the annual tax would be using the following figures. The rates are diffferent for different property types. If you have a question regarding another type, or another municipality in the area, you can contact me and I would be happy to explain further.